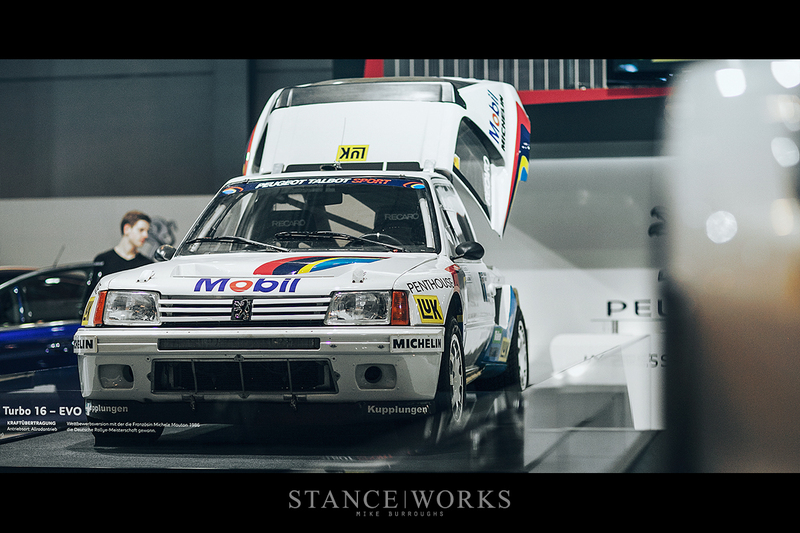 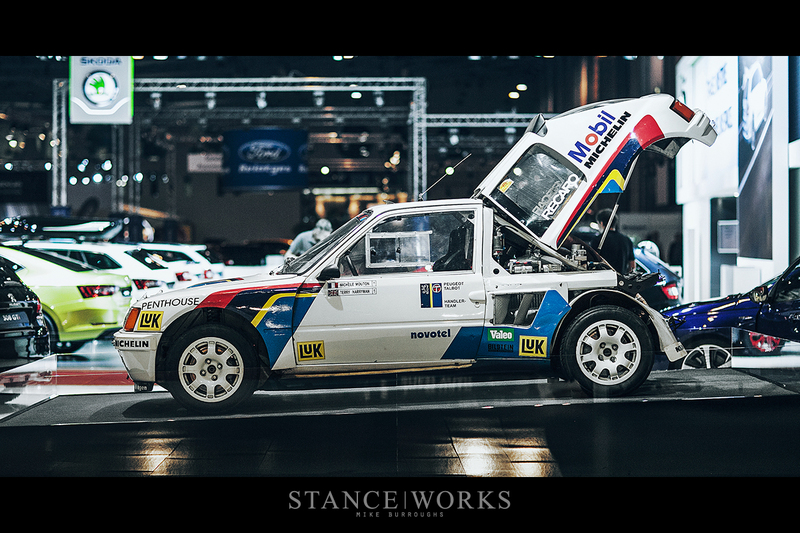 Browsing the halls of the Essen Motor Show has been a unique experience. 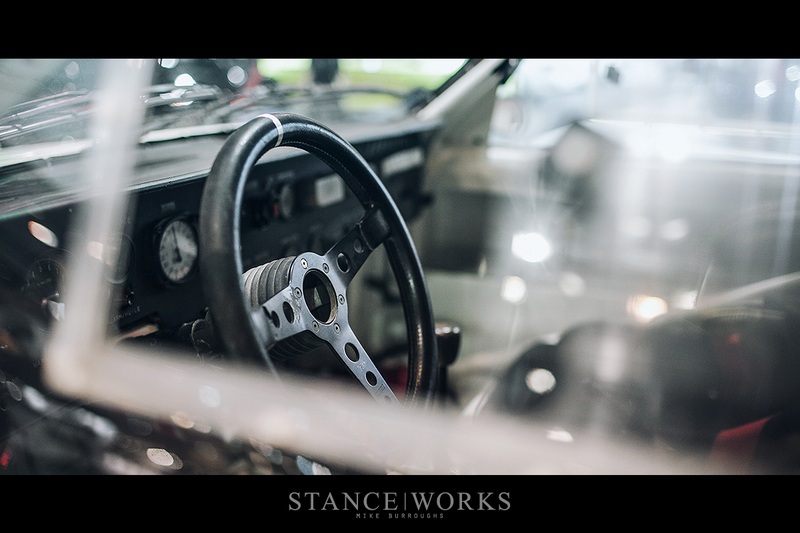 As an event, it's largely different from anything stateside, blending aspects of a car show, a trade show, and major event together in a way that is clearly successful. 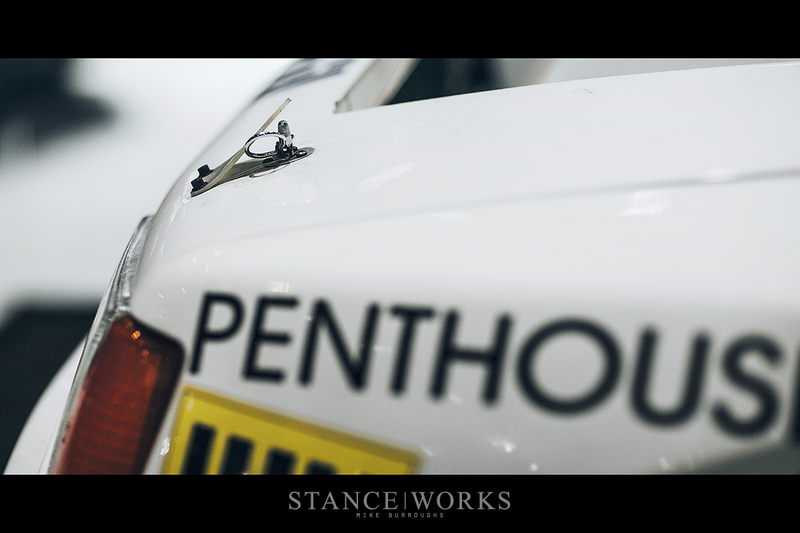 Unaware of what to expect as I moved from booth to booth, I found myself thrilled to find a Peugeot that grabbed my attention. 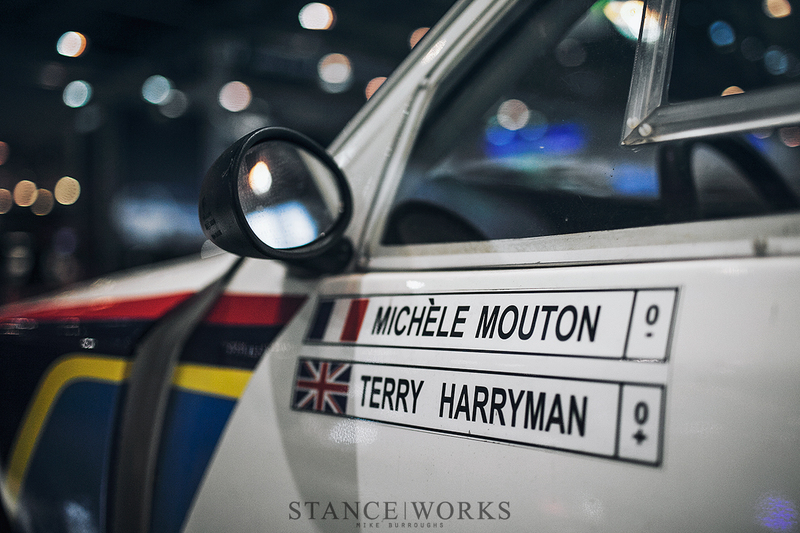 However, it was not just any Peugeot - it was a racing legend: the 205 T16, as raced by Michele Mouton and Terry Harryman in 1985, where it won the German Rally Championship. 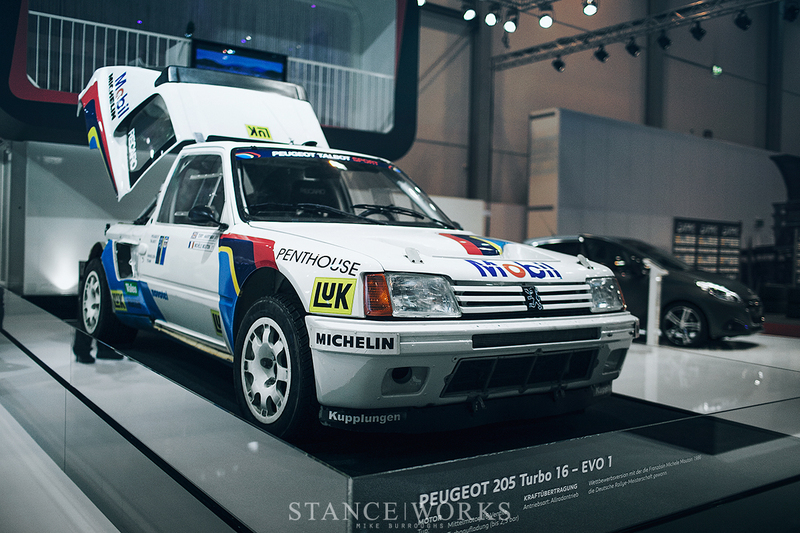 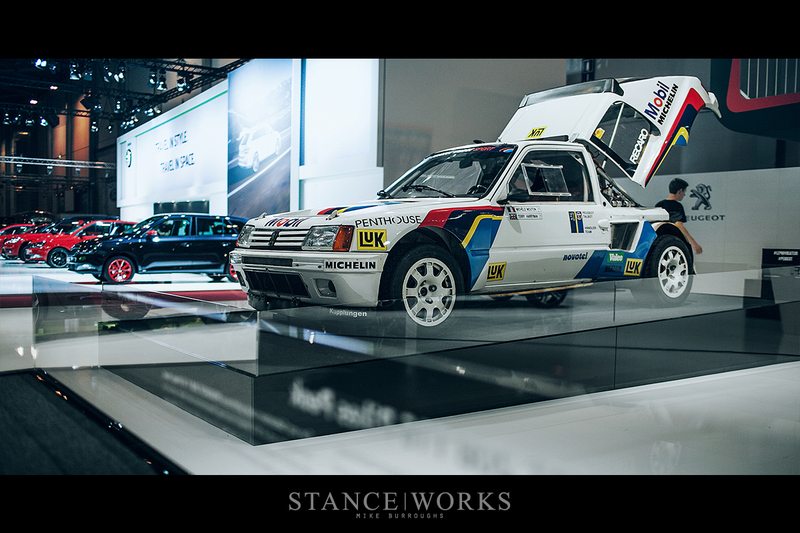 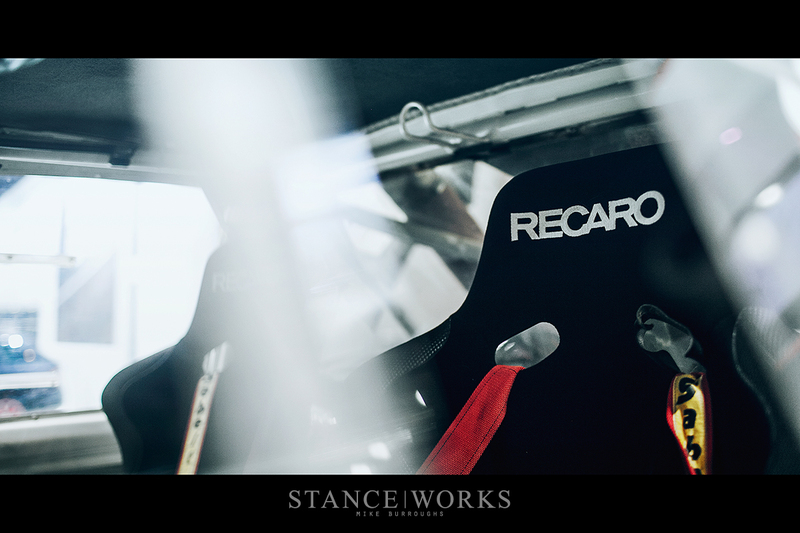 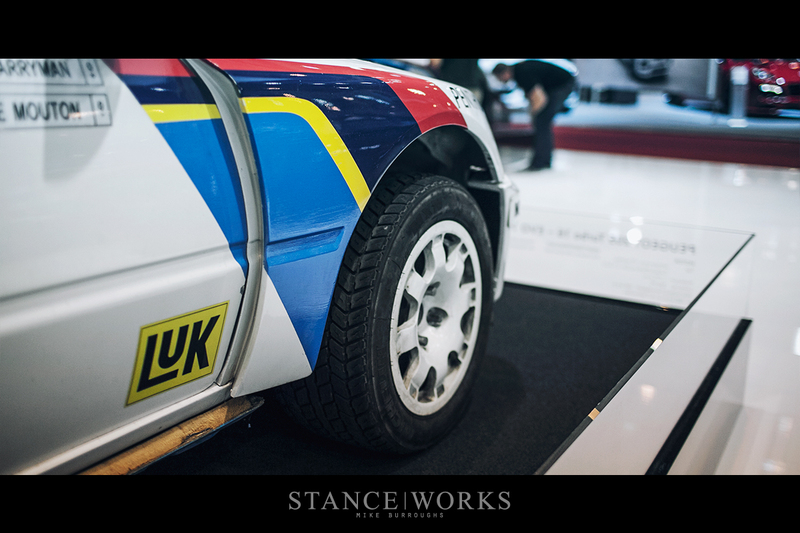 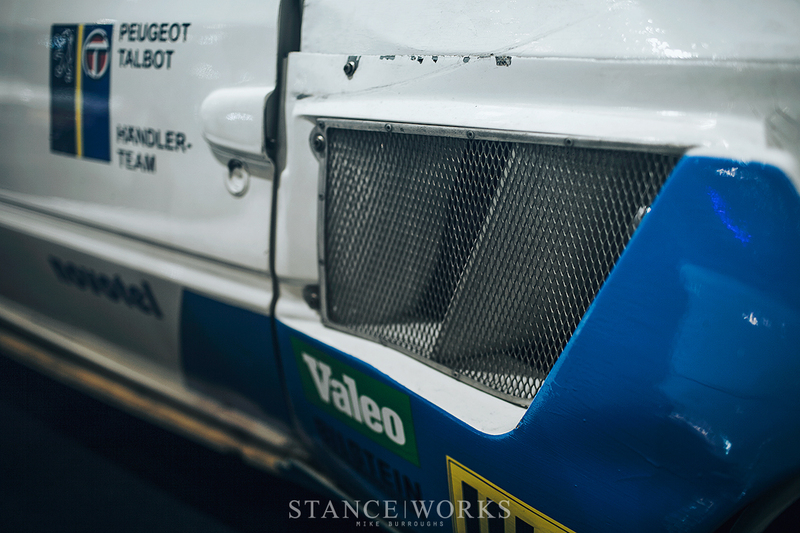 The Peugeot 205 T16 is credited as the "car that saved Peugeot," and with good reason - Holding the 1985 and 1986 Group B championship titles turned the dying brand's image around completely. 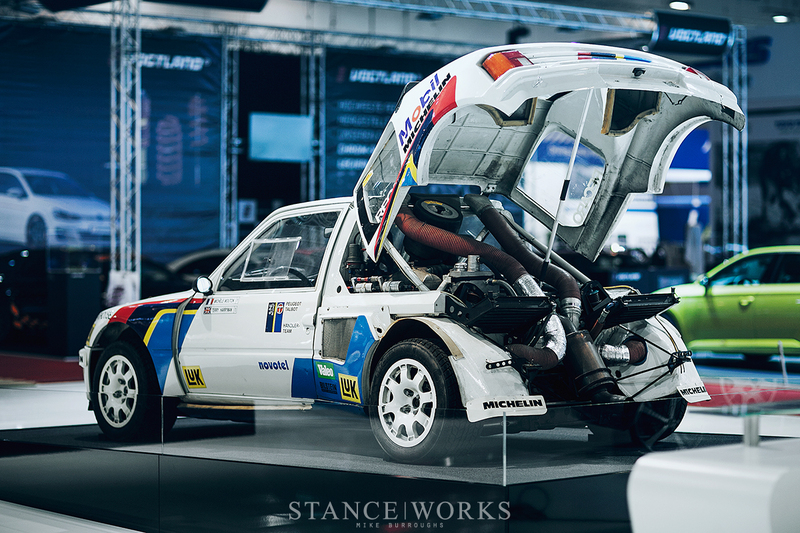 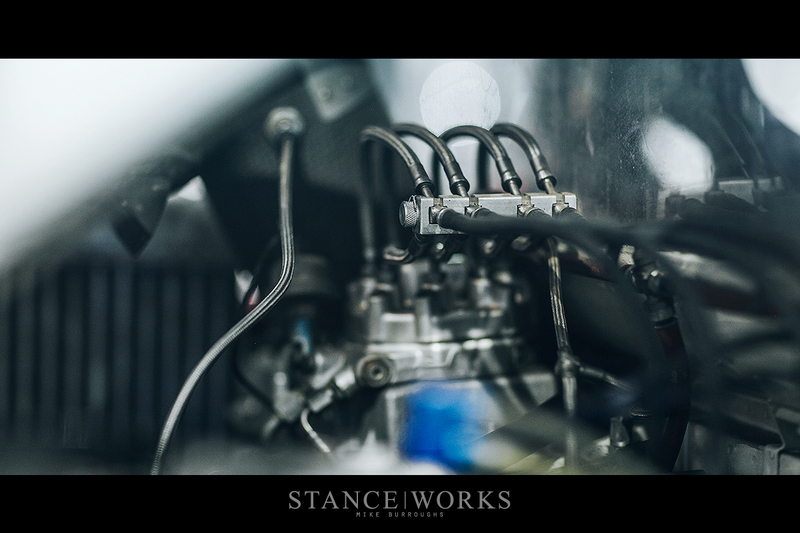 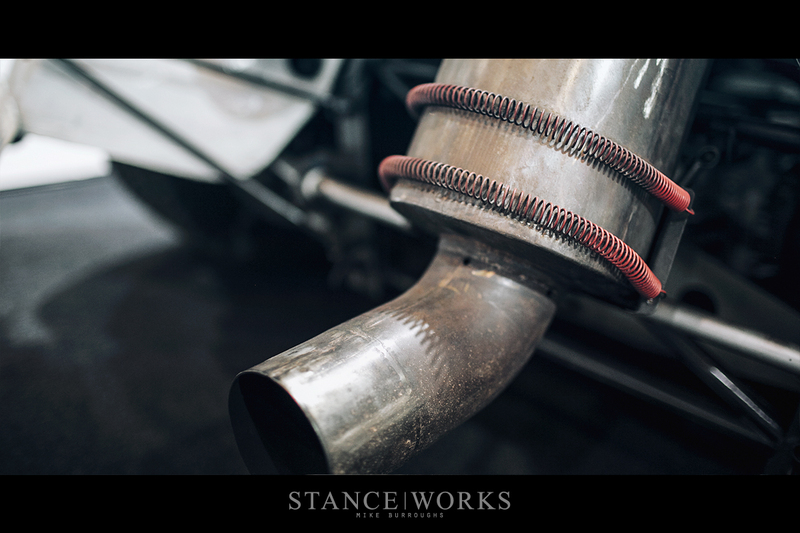 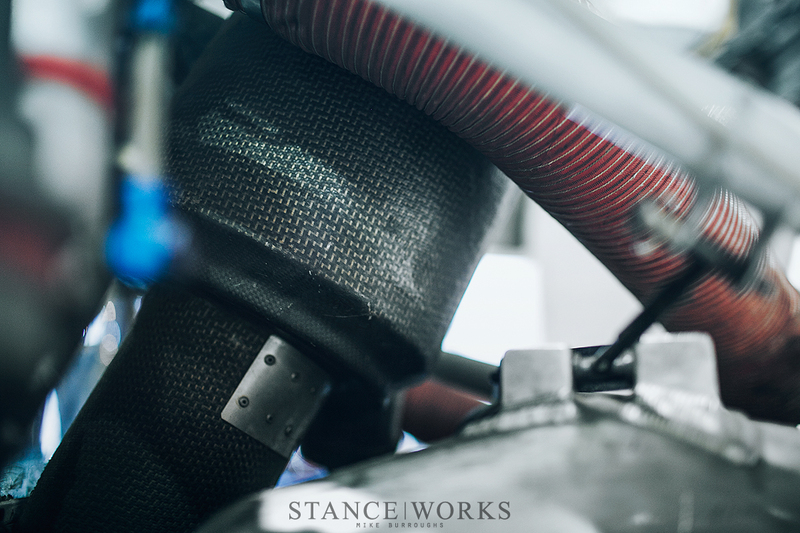 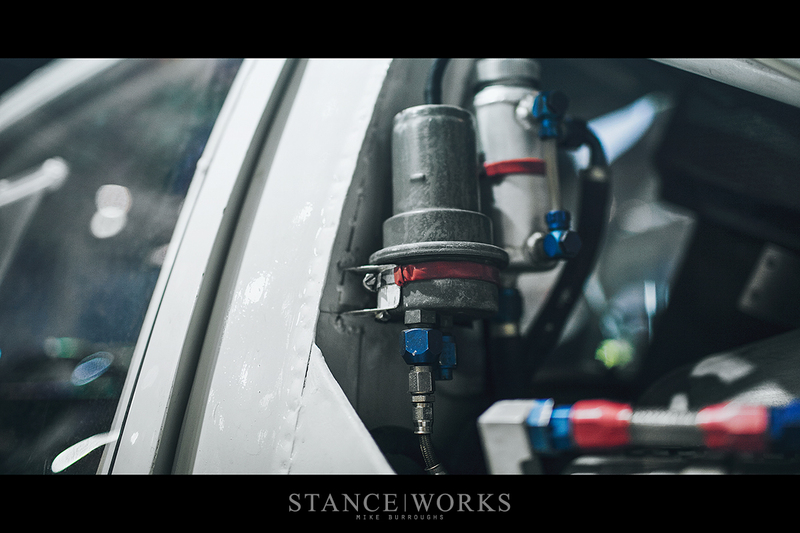 This 205's intentional details, from its absurdity to its prowess, and its unintentional details, like the wear and tear earned only from years in the dirt, made this championship winner impossible to ignore.